Talk about home cookin’. From 1930 into the 1960s, African-American entrepreneur George T. Dunlap and his wife, Annie Louise, operated a restaurant out of their Oak Park house. Dunlap’s Dining Room offered excellent service by the couple’s daughters, Audrey and Doris, and three entrées—fried chicken, baked ham and T-bone steak—catering to wellto-do patrons, including Gov. Earl Warren. 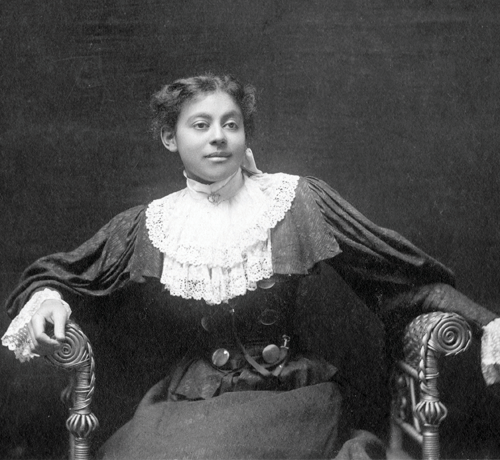 Dunlap family member Arlelia Dunlap (later Jackson) is shown here in a portrait taken by the Hodson Studio around 1895.